Custom entry surround designed and manufactured by Ravacast. Products include GFRC Corbels, Quoins, Wall Cladding, Various Moldings, and Architectural Accents. Using all natural precast concrete and sustainable GFRC mediums, Ravacast creates forward-thinking, innovative architectural products for the modern world, while also honoring the timeless traditions that have come to be synonymous with cast stone materials. 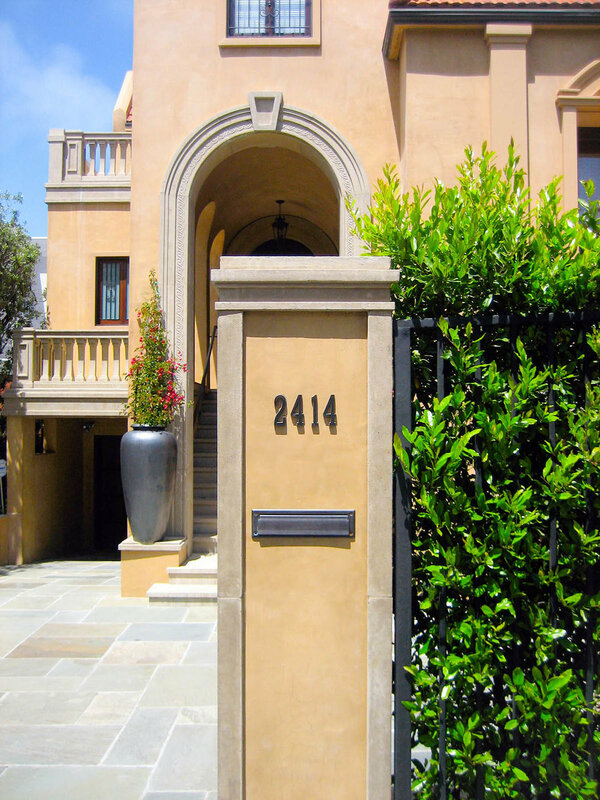 For over fifteen years, we have served the San Francisco Bay Area, greater California, and beyond — shipping Wall Caps, Steps, Pavers, Columns, Balustrade Systems, and more, to homeowners, designers, and construction professionals. A brief history of Ravacast and its approach to designing and manufacturing artisanal, architectural precast concrete, GFRC, and GFRG products. Learn how your project can benefit from Ravacast's standard and custom precast concrete & GFRC solutions for interior, exterior, and landscape spaces. Explore some commonly asked questions about Ravacast and its handcrafted, decorative precast concrete & GFRC products. By embracing a "boutique" approach, we're able to focus all of our energy on achieving two important goals: understanding our client's needs and delivering a superior product.